When I was doing my student teaching through my teacher-education program, one of my assigments was to complete an electronic teaching portfolio that showcased some of my best work, investigated a problem in my practice, and provided evidence&mdash;in the form of a video&mdash;of my actual teaching ability. Although this stage in my life occurred nearly 10 years ago, I still remember the chagrin with which I was filled whenever I worked on the tasks necessary for its completion. I’ve recently come across literature that indicates many preservice teachers to feel a sense of dread similar to mine. My peers and I felt overwhelmed by student teaching, and the idea of creating an entire portfolio based on that experience generated anxiety and frustration. Why should we spend time on a portfolio about ourselves when we struggled with creativity, lesson planning, and managing a classroom full of students who could sniff out our weaknesses like sharks catching the scent of blood in the water? Personally, I knew my time was better spent planning, reviewing, and heck, even sleeping. Who in their right mind would subject us to such unnecessary and fruitless torture? Despite evidence that preservice teachers often view electronic teaching portfolios in a negative light, they are staples of most teacher education programs. It turns out they’re fantastic ways to reflect on practice and learn from your own mistakes. The issue is not so much in the portfolios themselves, but rather their implementation, both by students and teacher educators. 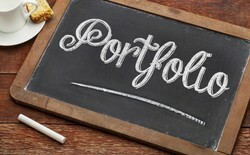 In addition to being generally reviled, teaching portfolios are frequently viewed as something that has to be done instead of something that should be done. Documents and reflections are completed hastily the night before they’re due, often with surface-level analysis. Moreover, the various parts of the portfolio (lesson plans, seating arrangements, sample videos, journal reflections, student work, cooperating teacher reviews) are viewed separately by the student teachers and their instructors. Collaboration and mutual reflection, cited as the most important aspect of the teaching portfolio by the pertinent literature, almost never occurs. Feedback is often given by email or using track changes, and does not invite discourse. While student teachers are struggling to find time and energy to complete their portfolios in a meaningful way, teacher educators are struggling to review and assess them meaningfully. The assignment of the teaching portfolio needs to be expressed to preservice teachers as something helpful and necessary, and the execution of collaboration on the portfolio must be shown similar care. Given the advent of video conferencing and other technologies, student teaching portfolios have the opportunity to become real-time endeavors that yield real-time results. Organizations like EdConnective provide tools and methods to make such collaboration possible. To learn more, visit the EdConnective website or visit us on twitter @edconnective.